As a woman you usually have one of three diseases 1 The shoe fever (dangerous because it can really get out of hand with the amount of options available) 2 The bag plague ( this diseases is most dangerous because of how expensive this particular items can be) also there have been found serious cases of individuals showing signs of both these wallet torturing diseases . I for one chose to belive I only show signs of disease nr 2 although there have been periods of time when I have briefly caught the Shoe fever as well . But this post is all about bags so let’s get to it. WARNING : Subjects who have shown signs of The Bag Plague in the past this post might bring bag the symptoms. 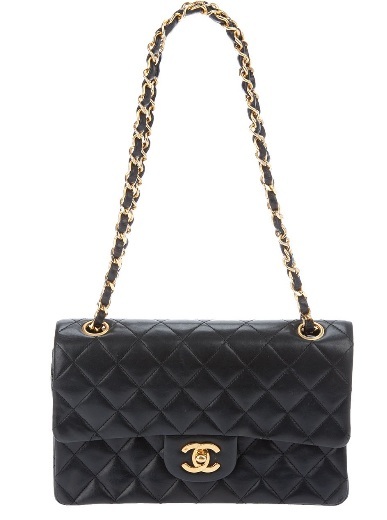 If I were to choose one high-end designer bag to pour all my savings into , it would for sure be this one. It is the epitome of classic elegance but I can still see it with so many different outfits from the most casual white V neck and jeans to a ball gown to the Opera . Called 2.55 after the date of creation, February 1955.